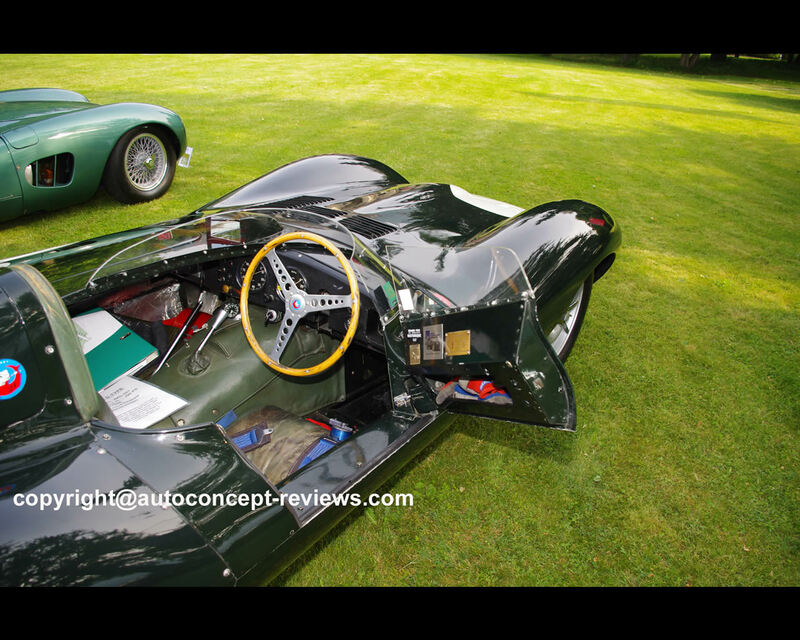 1954 saw the appearance of the successor to the successful Jaguar C Type racing car in the form of the D Type. In engineering terms, the D Type was a trailblazing advanced development – with disc brakes on all four wheels and an aluminium monocoque chassis. The engine and front axle were mounted on a tubular aluminium frame. The engine design of the car was significantly influenced by aviation research. For example, the fuel tanks were made of deformed metal within the cells of the monocoque. The main objective of the D Type development for Jaguar was to race it in the 24 Hours Race in Le Mans and in 1955 as well as in 1956 and in 1957 this legendary race was won by the Jaguar D Type. Just 71 D Type were manufactured and 18 of these were Jaguar works racing cars. 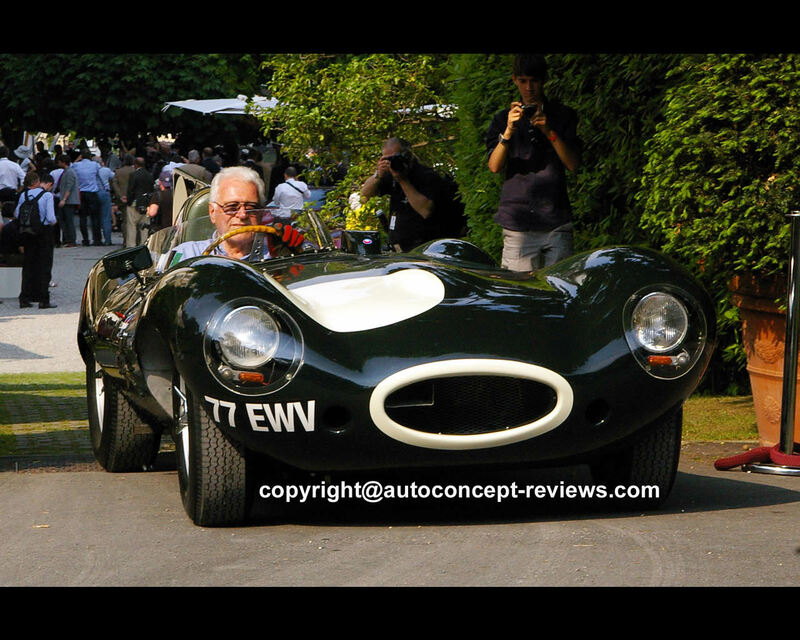 The “77 EWV” D Type illustrated in this article (photos 18/26 to 26/26) with a 3.4 litre (3.442 cc.) engine was initially used by the factory as an exhibition car, and it then came into private hands in 1957. The factory undertook a number of modifications so that the racing car could be used on public roads and to give a passenger the opportunity to experience the unique driving feeling of being in a Jaguar D Type. After several owners, this “77 EWV” Jaguar was acquired by the present owner, Max Lustenberger from Switzerland who has driven the car extensively on roads and on the race track. Max Lustenberger participated with “77 EWV” at the 2012 Concorso d’Eleganza in Villa d’Este . 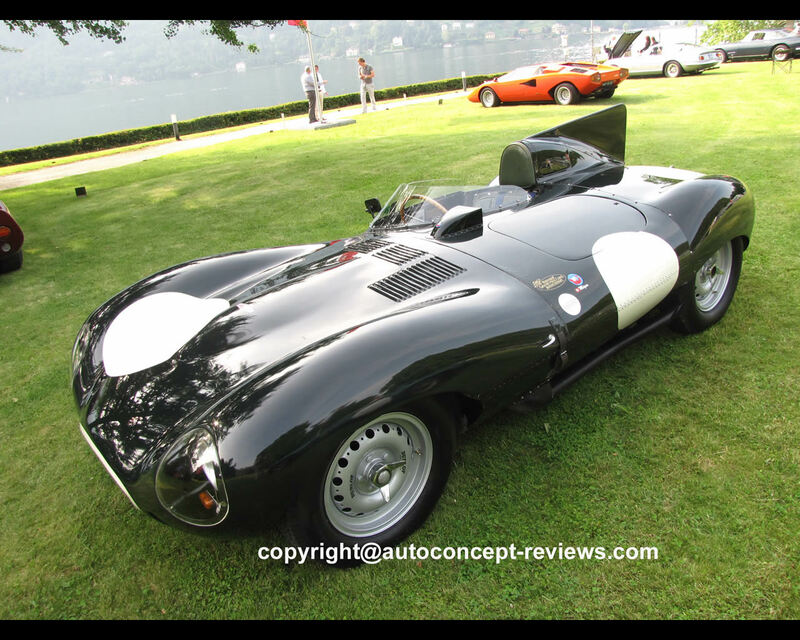 The article illustrates other examples of D Type Jaguar at Classic Le Mans editions.